After a laundry list of significant upgrades in 2018, the YZ450F gets refined for 2019 with optimized suspension settings to further enhance its on-track capability. 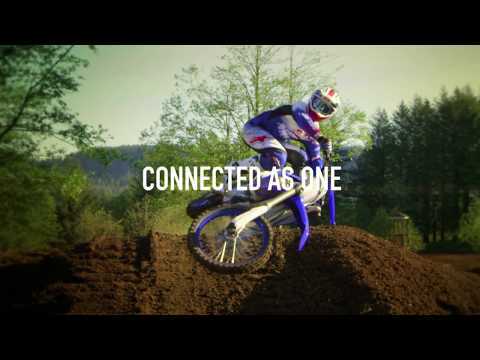 With highlights including the wireless Power Tuner app, electric start, launch control, a potent fuel-injected four-stroke engine and a race-ready chassis, the ultimate motocrosser is ready to take you straight from the showroom floor to the podium. 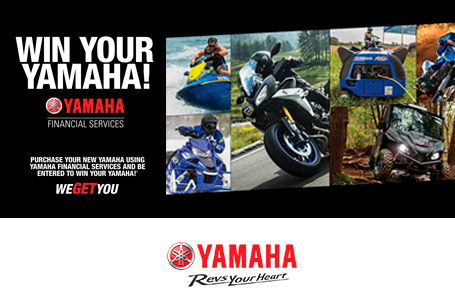 Power: The 449 cc reversed, rear slanting engine receives new cams, valve springs and intake port. New piston with optimized underside ribs makes it lighter and stronger. The result is a higher compression ratio at 12.8:1 delivering a more power, than ever before. 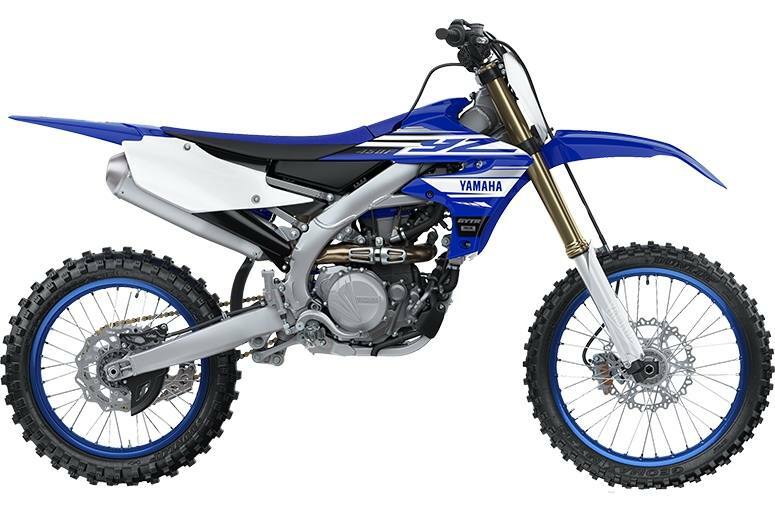 Chassis: The YZ450F's lightweight, bilateral beam aluminum frame is mated to industry-leading KYB suspension with speed-sensitive damping out front and a specially-tuned linkage-type rear suspension for optimal handling, bump-absorption and straight-line acceleration on any terrain. Power Tuner App: The groundbreaking Power Tuner app makes it easy to modify fuel mapping directly from your Smartphone based on track conditions, track maintenance intervals and share settings with teammates or friends. Easy to operate and free to download, the Power Tuner app uses onboard Wi-Fi to communicate with the bike's CCU and allows you to tune like never before. Cylinder "cutaways" allow air "trapped" under the piston to enter a side chamber (or cutaway): reduces horsepower-robbing "pumping losses"
Heavy-duty clutch with quick-access magnesium outer cover and on-the-fly barrel adjuster: quick-access outer cover provides fast and easy clutch access; light lever pull for reduced hand fatigue during a long moto; works-style, race-spec barrel adjuster for on-the-fly clutch lever free play adjustments. Revised, heavy duty clutch with quick access magnesium outer cover and on the fly "barrel adjuster. 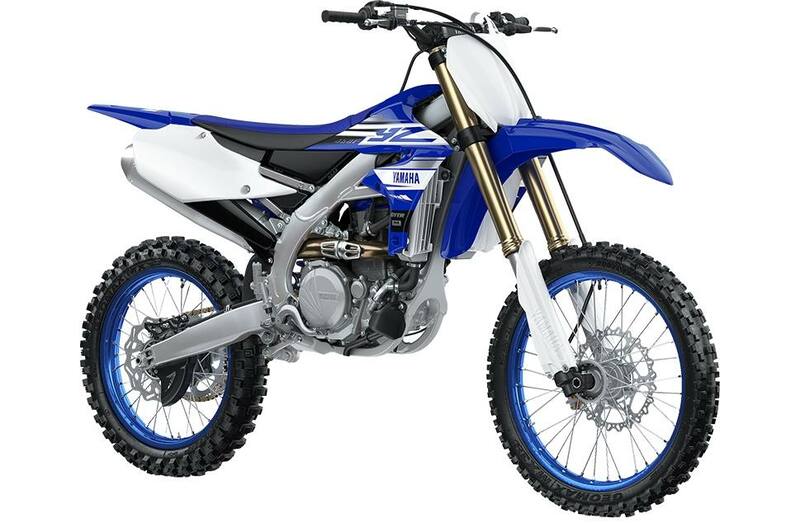 ": revised pressure plate features new reinforcing ribs for improved clutch feeling; revised clutch springs and specially machined steel plates; quick access outer cover provides fast and easy clutch access; light lever pull for reduced hand fatigue during a long moto; works-style race-spec "barrel adjuster" for on-the-fly clutch lever free play adjustments. Launch Control System (LCS): provides smoother, quicker starts with less wheel spin and front wheel lift; allows rider to concentrate on clutch control, body position and machine; system functions in 1st and 2nd gears only and is disabled when the bike is shifted into 3rd; ECU controls the system and adjusts engine rpm to limit wheel spin and wheelies; activation button is on the LHS handlebar and features a LED indicator light. Special "G" sensor system: shuts down fuel injection system if bike lies on its side for more than 10 seconds; helps prevent costly engine damage; no special procedure to re-start the bike... just hit the electric start button and go!